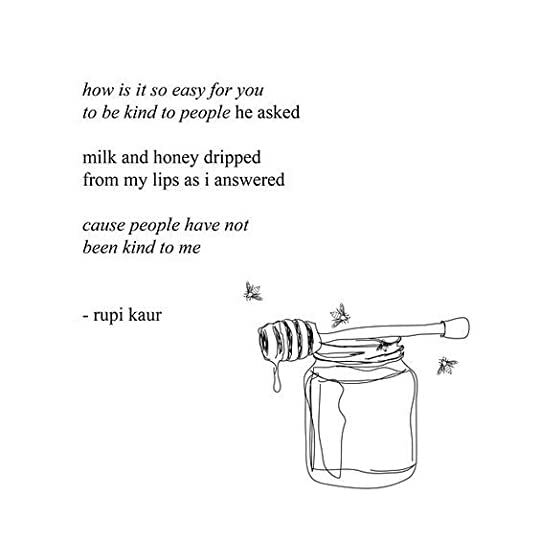 Rupi's Kaur's Milk and Honey discusses many important issues about being human. Her poems capture themes of hurting, loving, breaking and healing. 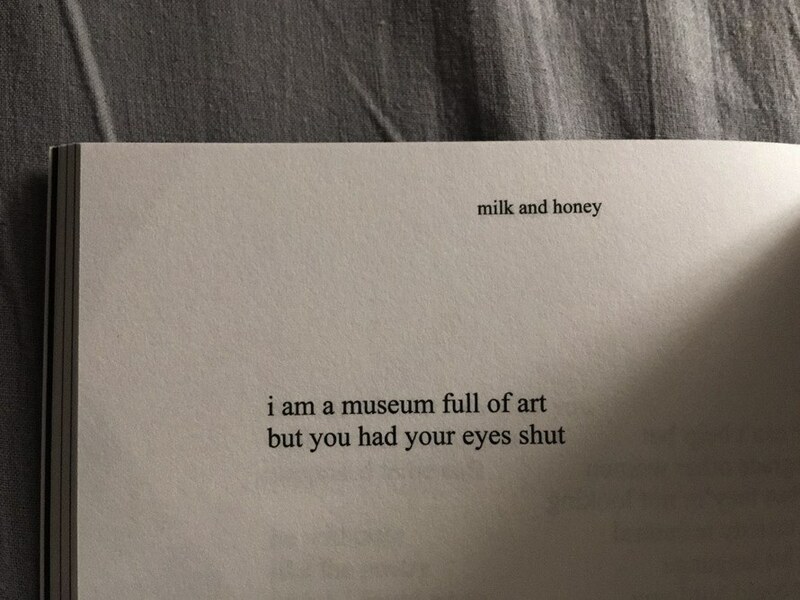 Any young woman needs Milk and Honey in her life. Here are some of my all-time favorite poems of hers. We all have "fires" in our belly that sometimes people want to put out. 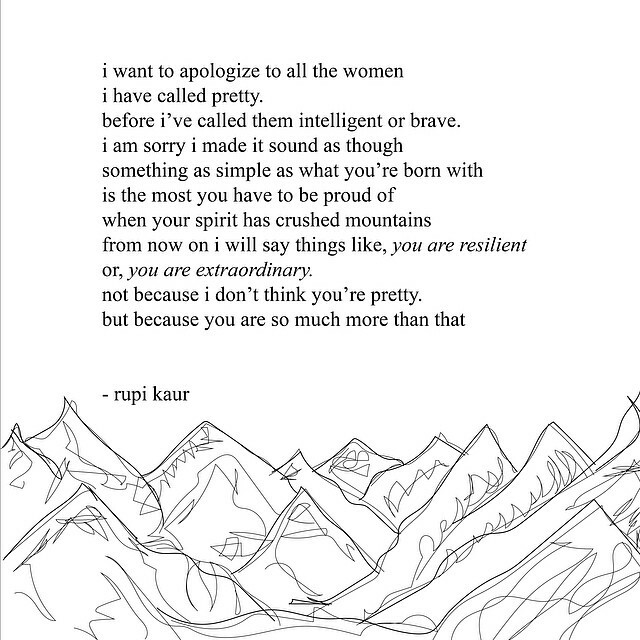 But frankly, Rupi Kaur's words let me believe that people who try to tame your greatness are not worth your time, and that to be passionate is to be strong. It'd be weak to allow people to quiet you down. I wish guys were like this. 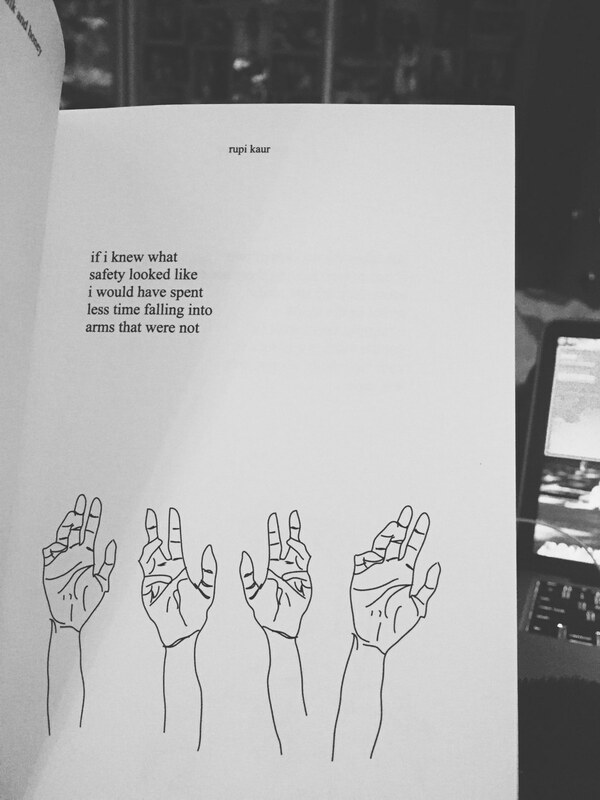 This poem says a lot. It's so inspiring because I feel like so many girls think they're not complete without a guy. But that shouldn't be the case. We can have someone make us better or make our lives better, but the key word is better. You have to be happy on your own before you have anyone. 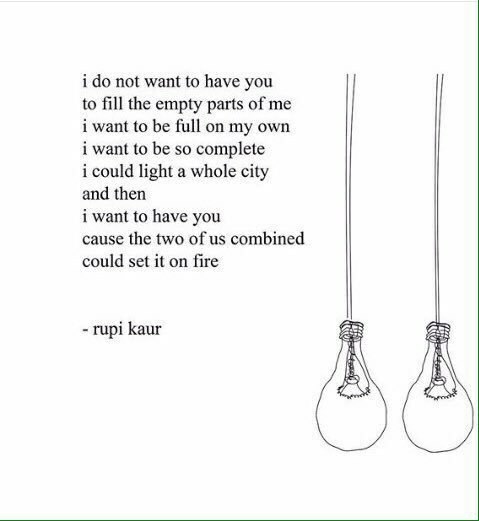 I especially love how Rupi Kaur has the constant theme of "fire" throughout her poems, because it is so metaphorical for strength, bravery, growth, passion. 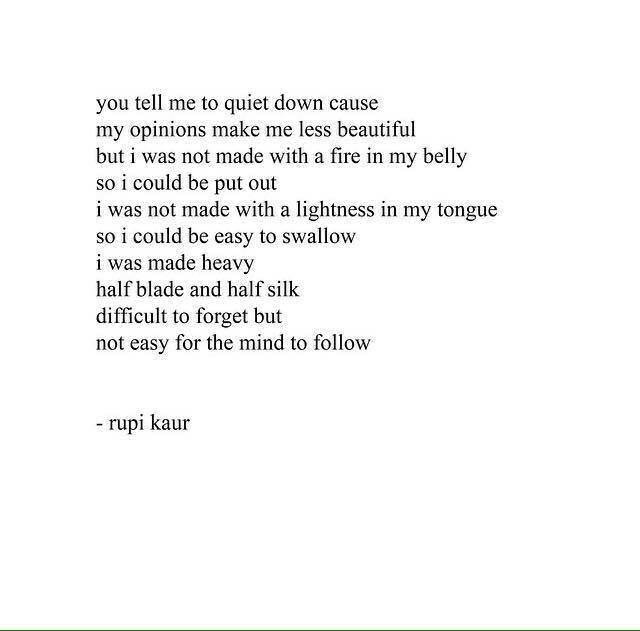 This is my all time favorite poem of hers. It's so short yet so powerful. If there's someone who doesn't see how amazing you are, just know it's them and not you. They just didn't open their eyes. This poem is so important to read. As young women, I feel like we always compare ourselves to others. But most of the time it's something superficial. This is a reminder that you're so much more than what you look like. That your intelligence, your bravery make you beautiful. So many times we try to treat others how they treat us. If someone is rude, you'll be rude back. If someone is giving you a hard time, give them a hard time. But that's not how we should be. Be the bigger person. 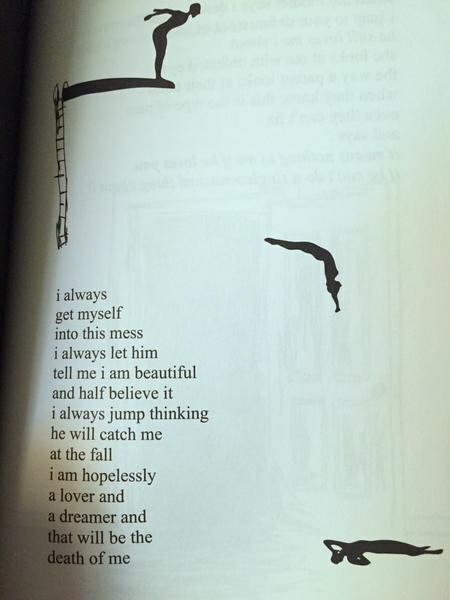 This poem is so important because it captures exactly that. Be water. Be gracefully strong. Oftentimes, we think we're safe. But this poem is so powerful because we might think we're safe, but we're not. Be sceptical- don't be naive. You don't know what real safety is until you find it. 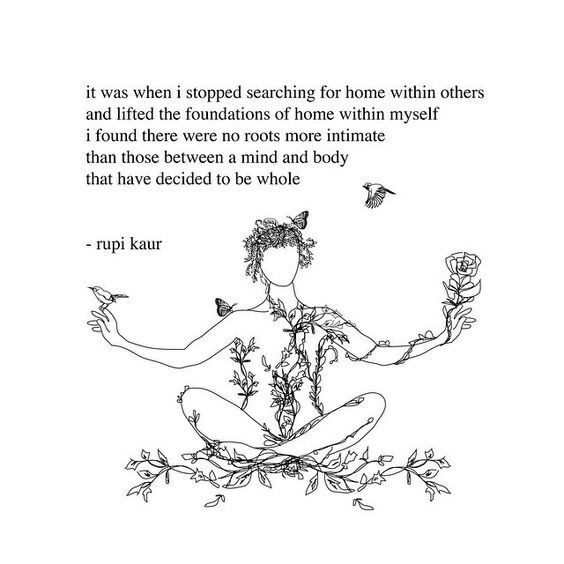 Rupi Kaur explores the theme of self-love a lot in her book. 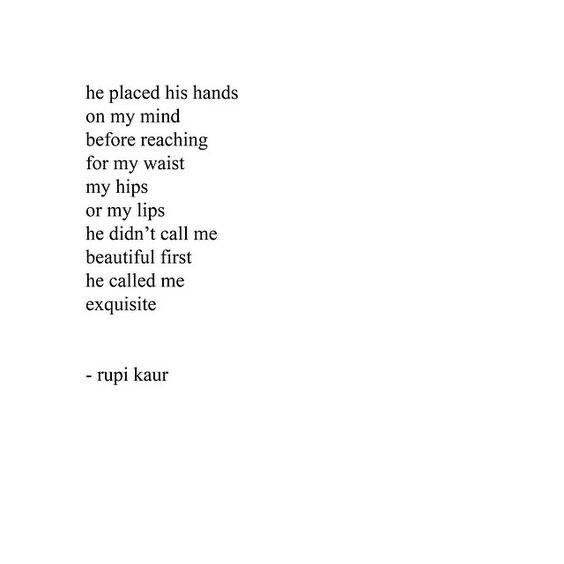 This poem expresses exactly that. Don't search for someone to complete you because you won't be successful. Find it within yourself to feel perfectly whole and learn to be okay with it. This poem is so important to read. 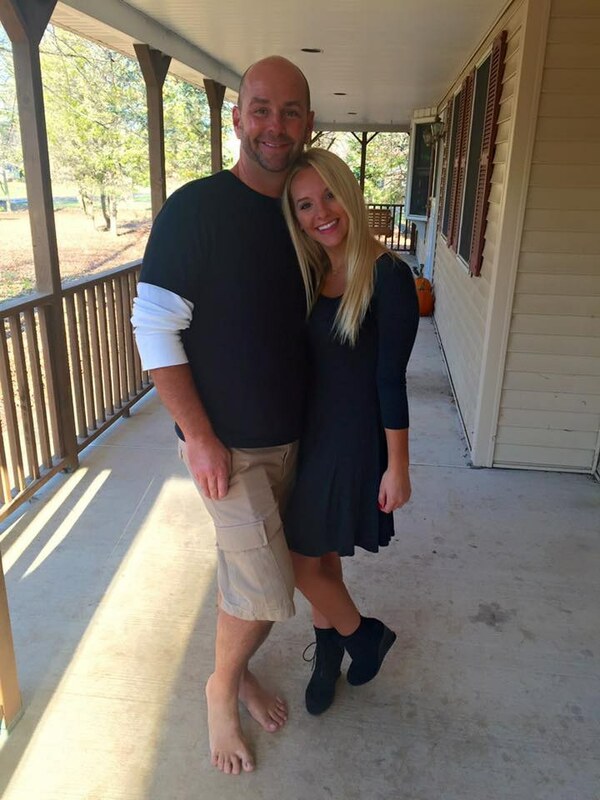 Sometimes you fall for a guy because he tells you exactly what you want to hear. So you have hope and you believe him. This happens a lot to me. But you have to learn not to fall too fast. It's easy to be idealistic and believe him, but the end result will most likely crush you even more. 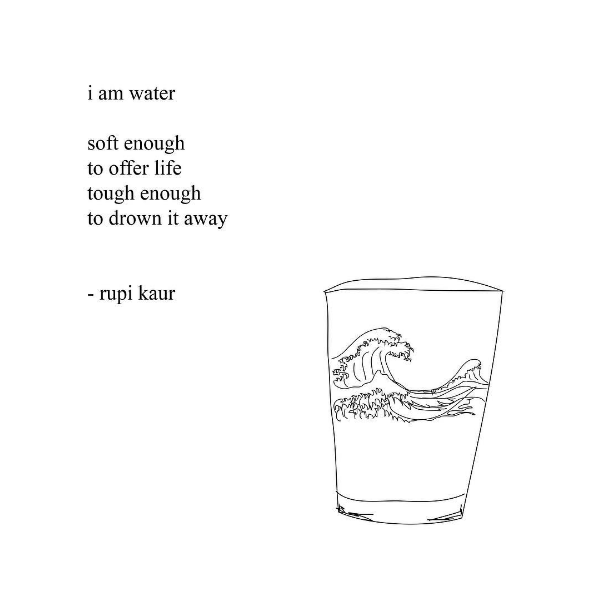 Rupi Kaur's poems contain some of the most important and inspiring words I've ever read. Give Milk and Honey a read if you're ever feeling a lack of inspiration. I'm not kidding when I say that this book will change your life.